Today, September 7th, Apple announced its latest iterations of its power smartphones. The Curpertino-based company announced the iPhone 7 and iPhone Plus — two devices with similar designs yet twice as powerful as the previous iPhone 6s and iPhone 6s Plus. With this release, Apple changed many aspect of the phone, including aesthetic design and the way users interact with the device. The device has a ton of new internal improvements including camera, security, and audio. One thing Apple knows is that the iPhone is most used phone as a camera in the entire world. Because of this, the company come up with groundbreaking improvements every year in the cameras section of the device every time they release a flagship device. This year is no different with the iPhone 7 and iPhone 7 Plus. The iPhone 7 now comes with Optical image stabilization, a feature that was only available on the iPhone 6s Plus. The iPhone 7 camera is now designed with a ƒ/1.8 aperture which Apple claims that “allows up to 50 percent more light onto the camera sensor than iPhone 6s,” allowing users to take better-looking photos in low-light environments. Apple also made significant improvements in the camera flash. The camera now features four smart LEDs, which is 50 percent brighter than the iPhone 6s according to Apple. Compared to last year’s iPhone 6s, the iPhone 7 comes with a 7 MP front-facing camera with wide color capture. iPhone 7 Plus user, like iPhone 6s Plus users, will get a better camera than iPhone 7 users. 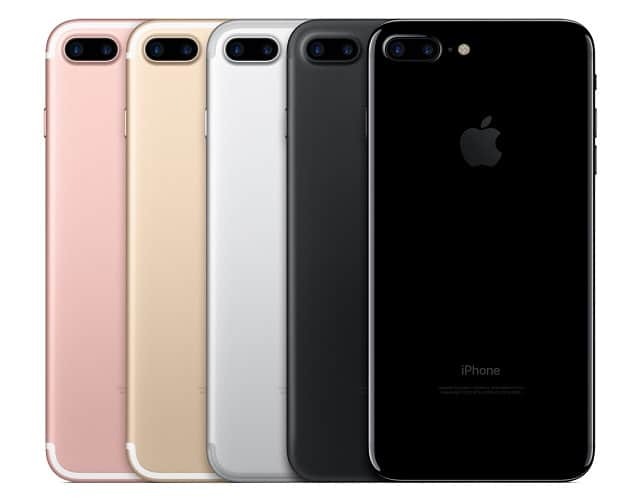 Although both iPhone 7 models with operate on a 12 MP camera, the iPhone 7 Plus comes a newly developed two-camera system that allows user to get better quality pictures from a further distance. It also comes with a ƒ/2.8 aperture lens. One of the reasons the general public always says that Apple is way behind Samsung when comes to phone innovation is because Samsung has been making water-resistant phones for a while now, starting with the Galaxy S5. And up to the iPhone 6s, Apple had not released or mentioned any water-resistance iPhone. Now with today’s announcement, the company not only announced that the iPhone 7 is water-resistant, but even dust-resistant as well. The iPhone 7 is IP67 water-resistant, which means it can be submerge in water up to 1m and for up to 30 minutes — worse than the Galaxy S7 IP68 rating. The iPhone 7 has some interesting changes when it comes to audio. Unlike the iPhone 6s which only has one speaker, the iPhone 7 comes with stereo speakers, twice as loud as the iPhone 6s. Your iPhone 6s’ Earpods will not work with the iPhone 7 unless you have an adapter. Apple decided that it will be the best for the future of electronic devices to get rid of the 3.5 mm headphone jack. The company will include a free adapter with the iPhone 7. Apple describes its latest mobile CPU as “The most powerful chip ever in a smartphone.” The A10 chip is as twice as fast as the A8 chip found in the iPhone 6 and iPhone 6 Plus. Because of this chip, Apple says that iPhone 7 users will generally get two hours or more of battery usage compared to previous iPhone models. One thing that was supposed to happen with the iPhone 6 — according to rumors — was the abandonment of the 16GB of storage. But this did not happen even with the release of the iPhone 6s. Now with the iPhone 7, Apple will no longer offer 16GB of storage as a base model. 32GB will be 16GB for now on. The other two more expensive options will be 128 and 256GB. Previously, the iPhone 6s was released in four colors. 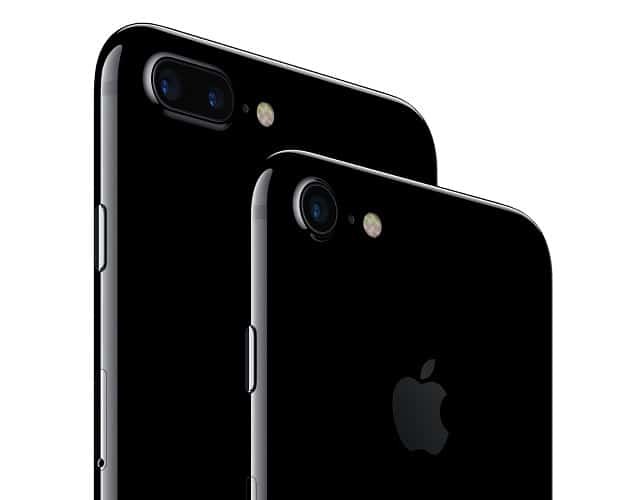 Now Apple has added a new Jet Black color to the line. The Jet Black color will be available only in 128GB and 256GB models. The iPhone 7 will be open for order beginning this Friday, September 9 for $649 (32GB), and $100 for additional storage option. The device will begin to ship on September 16th.